My cat Mochi loves sneaking bites. Whether it’s licking my melted ice cream, gnawing on a bouquet of roses, or stalking my smoked salmon. Salmon will send Mochi into lurker mode, like she’s getting back in touch with her inner jungle cat. I turn away for a moment and ZIP! Mochi is nose deep in my salmon. 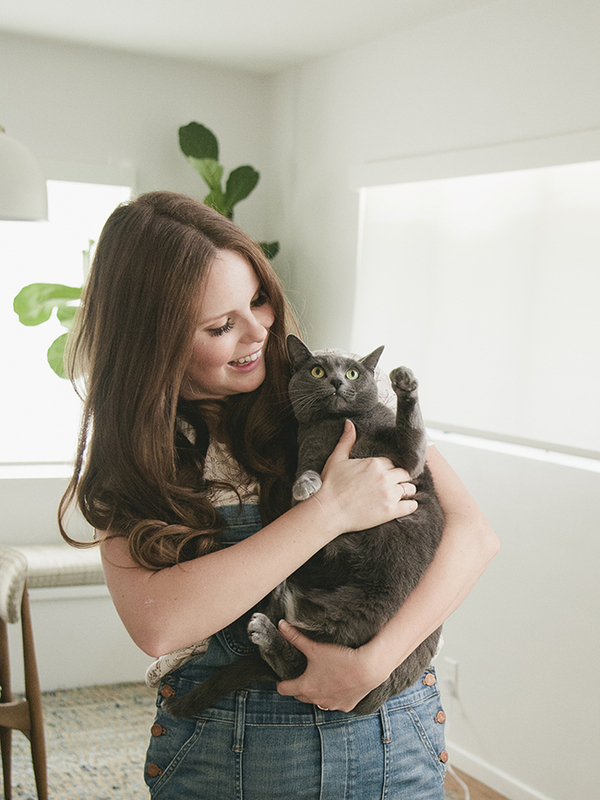 So when I partnered with Fancy Feast, I was so excited to introduce Mochi to the Purely Fancy Feast Filets, especially the salmon filet. 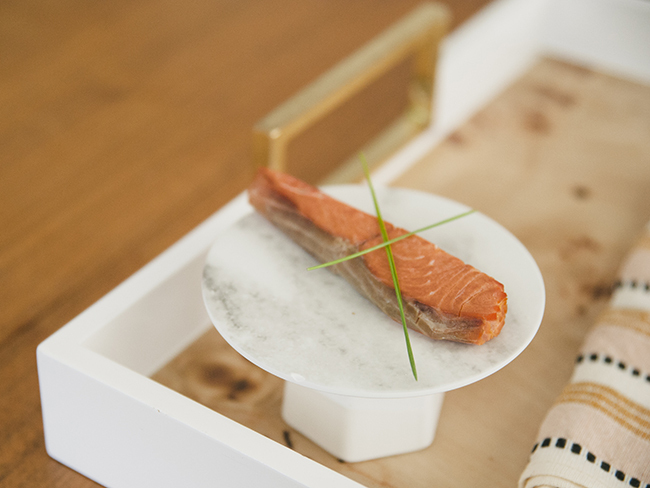 Not only is the product 100% real, natural salmon, there are only three ingredients: salmon, salmon broth, and salt. 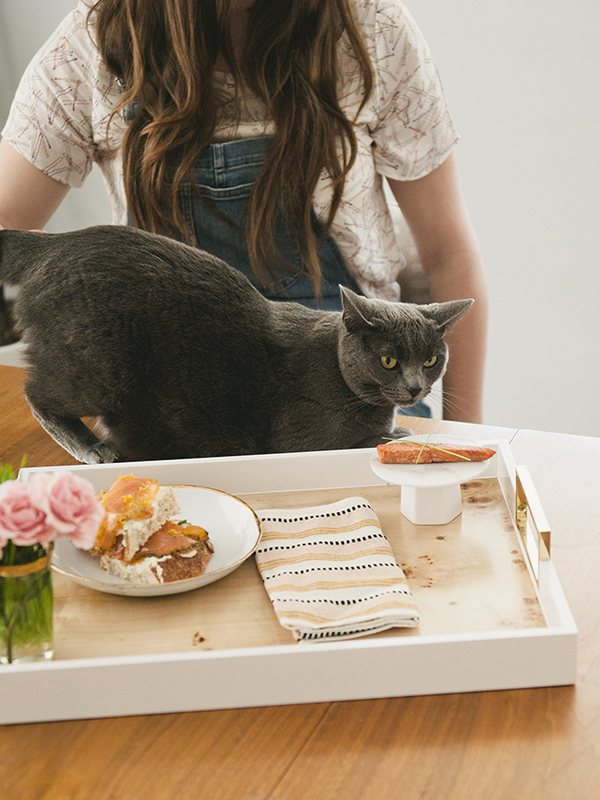 The result is the perfect cat complement – an elegant little treat that can be enjoyed whole, flaked, or on top of her regular meal. And most importantly, Mochi finally gets to enjoy her own salmon! 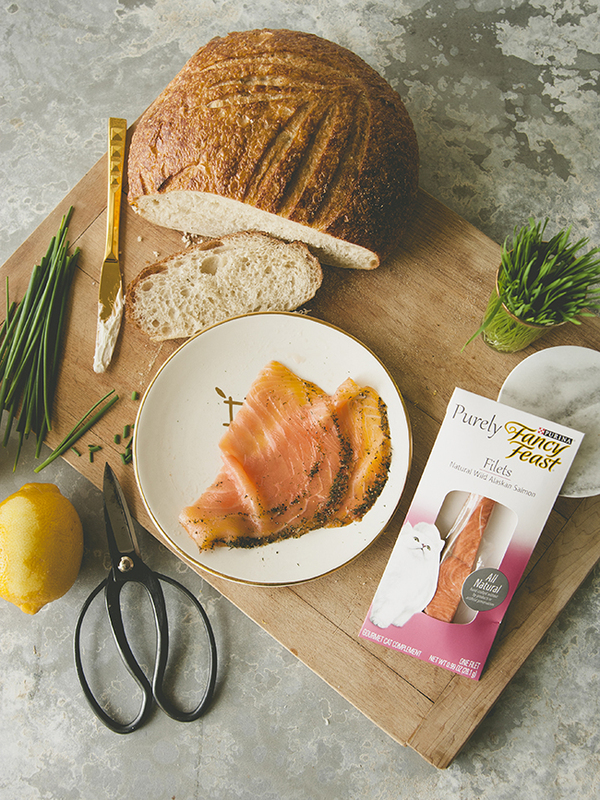 To make the moment special, I decided for us to enjoy lunch together – me with a smoked salmon tartine, and Mochi with her salmon filet and a cat grass garnish. I added a bouquet of roses and cat grass, Mochi’s favorite, for a bit of table decoration. It was a fun and delicious afternoon for both of us. Spread the cream cheese on the sourdough, top with chives. 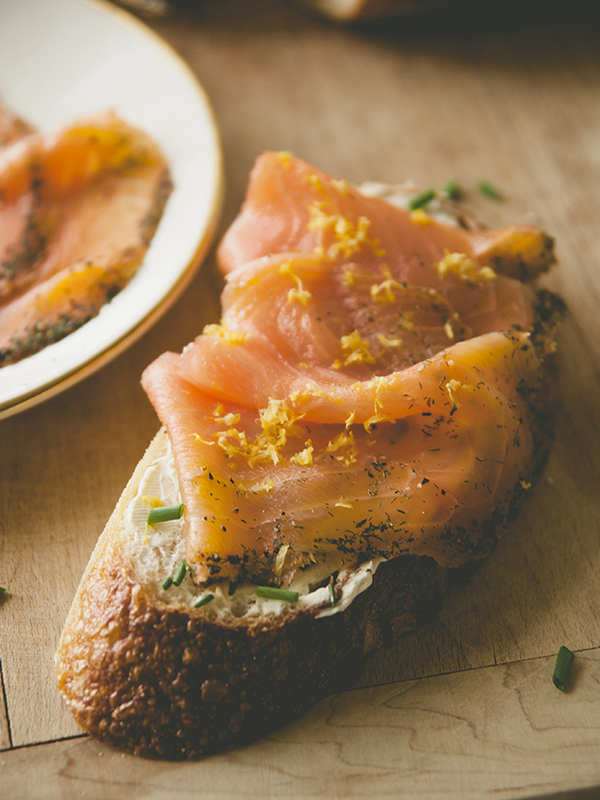 Add the smoked salmon and finish with lemon zest. Enjoy!